Photographer’s notes: I hear this again and again – that people have had a few years, a decade or more, since they abandoned bikes in favour of cars, motors, public transit. Slowly they are returning, rediscovering the bike and the pleasure it gave them as kids. If being childlike is riding a bike, may I remain childlike the rest of my life. 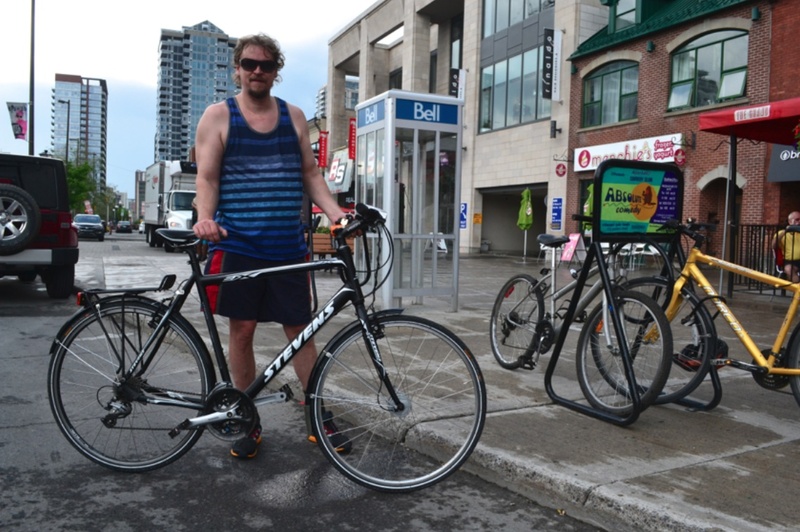 This entry was posted in commuter, kids on bikes, North America and tagged 2015, August, Canada, Ottawa, Stevens. Bookmark the permalink.